Holidays are really something special. Just think, as winter is setting in comes the sparkle and magic of Christmas to distract us. Then, cold and quiet January is a welcome change to the crazy bustle. 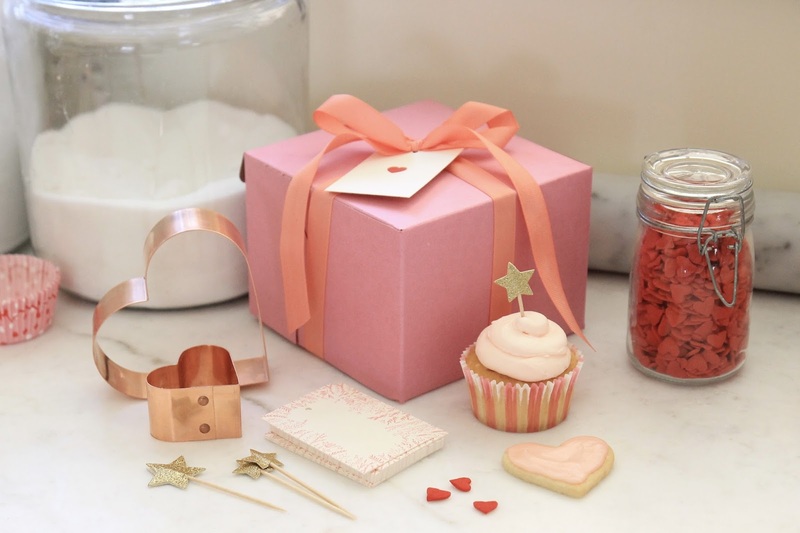 The simple and quiet routine of winter months can start to become a bit of a bore... then along comes pink boxes filled with cupcakes adorned with hearts, iced sugar cookies, bouquets of pink flowers and romantic candlelit dinners. Valentine's Day is exactly what we need to lift our "hearts" through to the spring thaw. Amazing isn't it - how this world works? 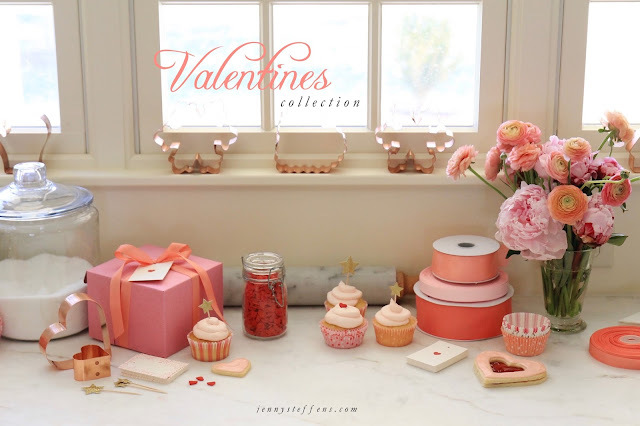 Shop the entire Valentine's Collection, here. 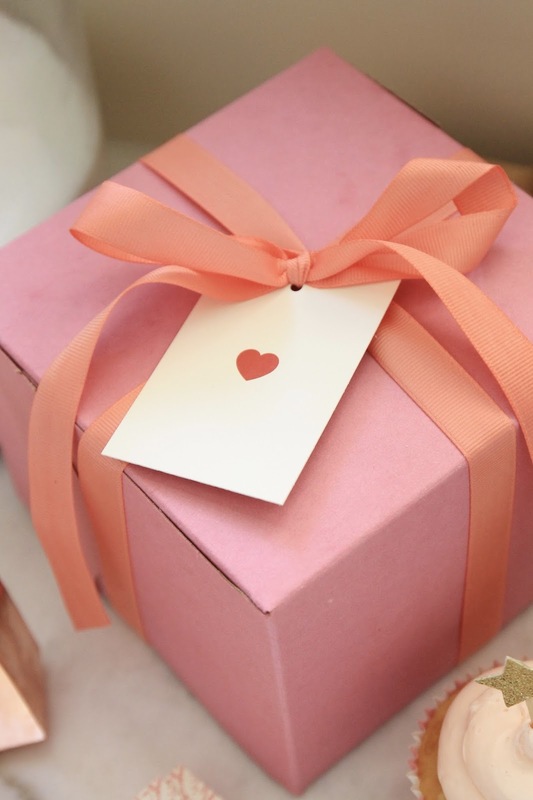 I hope you enjoy this collection of fun, light-hearted goodies that will make celebrating the loves in your life a complete pleasure! This year's collection has a bit of a feminine touch to it - and why shouldn't it? Valentine's Day is the best excuse to go all out girly. Not only do I make treats for Mike and Emma, but I also make treats for my girl friends. It is, after all, a "girls holiday" as they say. So, this year I went for it - in a combination of papaya, coral and pale pink. I just loved how these tags turned out! I've been getting emails for these - everyone wants to make sure they would be back again this year. Of course - they might be my favorite product for Valentine's Day. I just love the color! 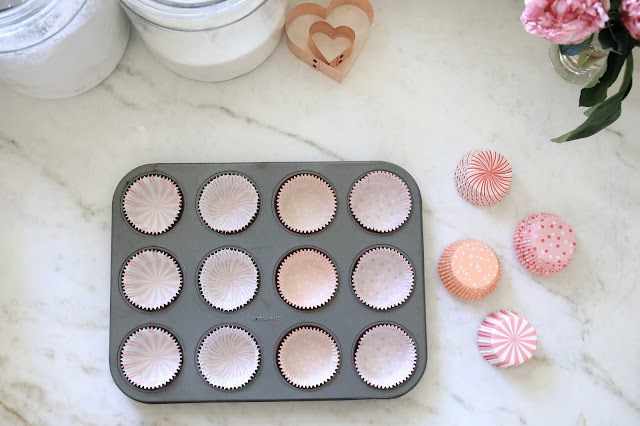 They fit 4 cupcakes perfectly, but could also hold cookies, a mini cake or any other treats you can dream up. They are kraft inside and a very pretty matte pink on the outside. Love! This is simplicity at its best, the red heart tags are back, too. A simple red heart on a natural cardstock with hole punched ready to hang on treats and gifts. Classic and beautiful. 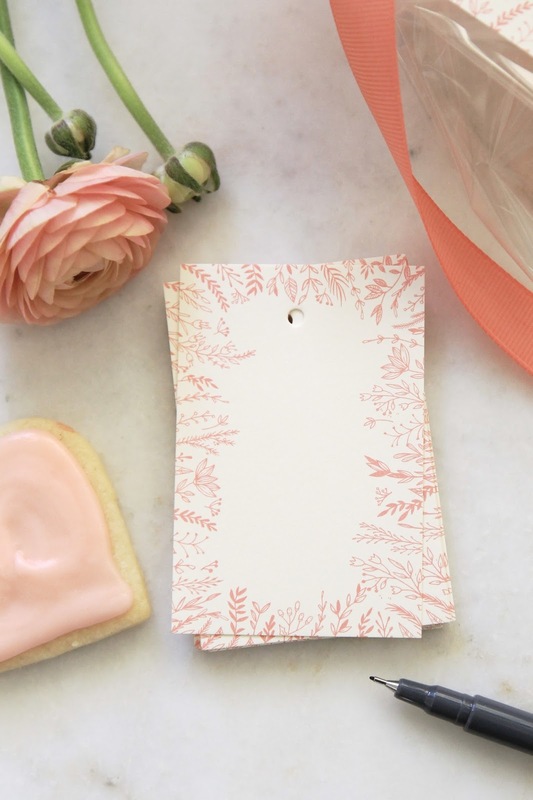 These tags can be fun with the pink bakery boxes, but also can transform into an elegant and classic accent. Add them to treats for school, or a hostess gift - one of my favorite's yet. I think these sets are so stinking cute. 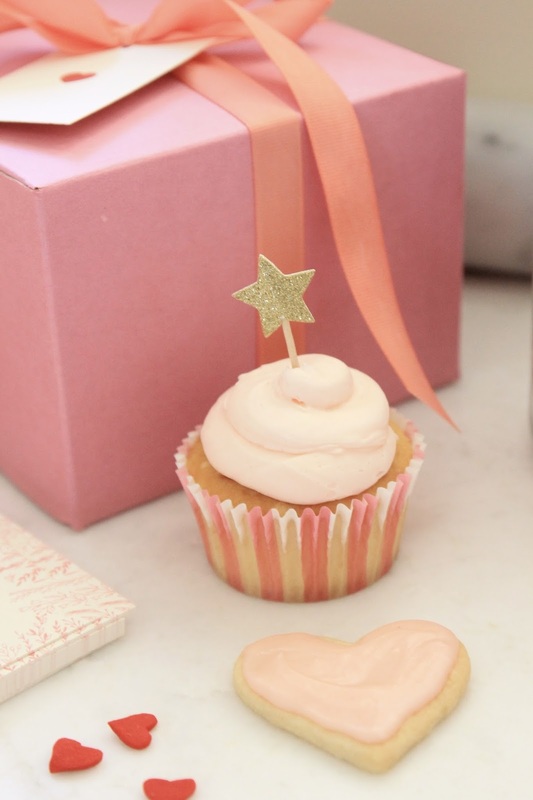 So cute, in fact, that we used them for Emma's very pink 4th Birthday party. 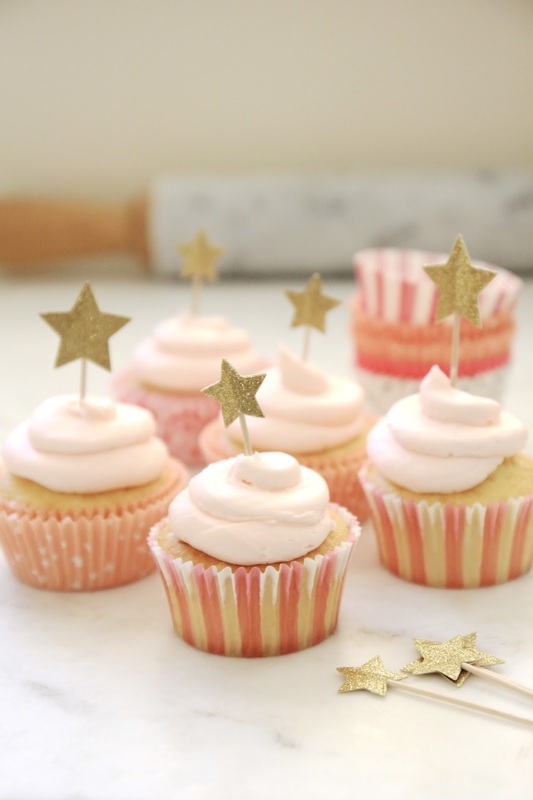 It is the perfect amount of whimsy and sparkle to dress up the simplest cupcake - I just love them! There are two sets of various patterns and toppers. This idea originally stemmed from the classic Linzer Cookie that is a sandwich cookie filled with raspberry jam. 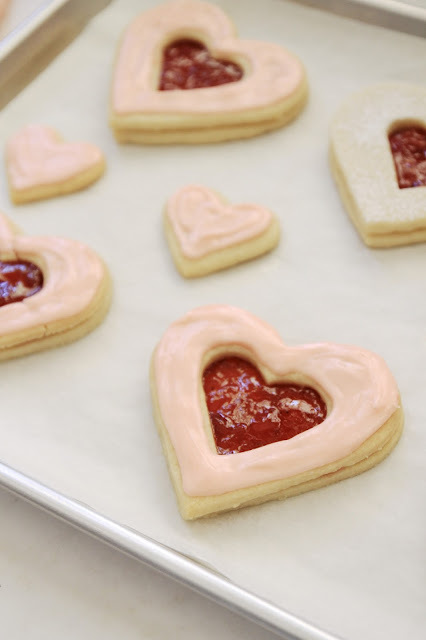 I'll share a step-by-step of creating these cookies in the next couple of weeks. The Set of Two Hearts can be used in many ways. I've always loved making a variety of shapes, sizes and colors of hearts for Valentine's Day. I especially love how the two sizes (and colors) look with the Blue Bird Cook (cutter found here). This set will definitely be a classic. 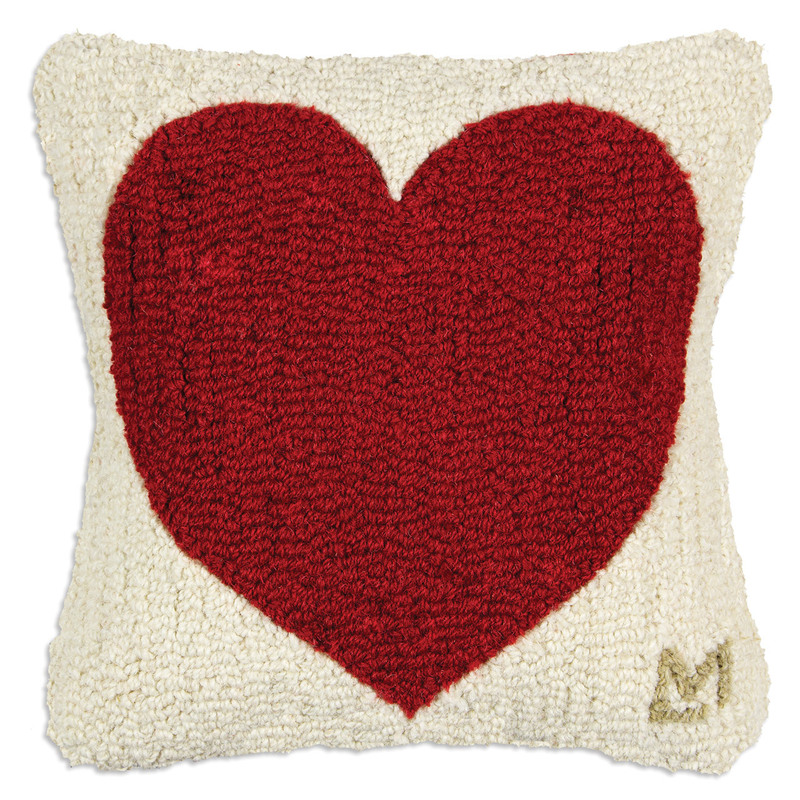 I love how just a little heart pillow can bring Valentine's Day into your home. 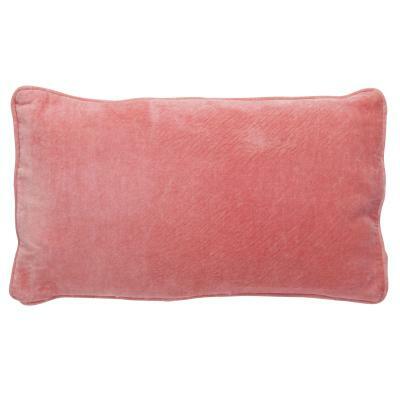 This pillow comes from the same Vermont company that made our Holiday Hooked Pillows and Stockings. 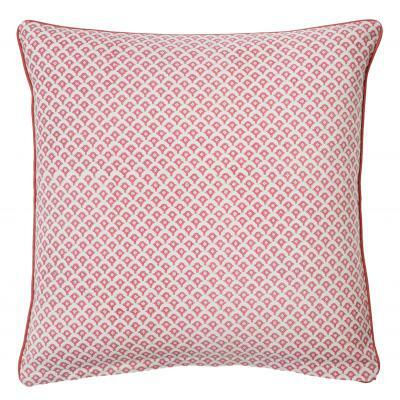 So classic and graphic, this pillow is just the little touch of love to add to your home for Valentine's this winter. This collection is from a new company I'm working with in Denmark. I was so glad to find their clean, graphic styles that read traditional, yet fresh. This rosey color is just the thing to brighten up these winter months well into (and through!) warm summer months. 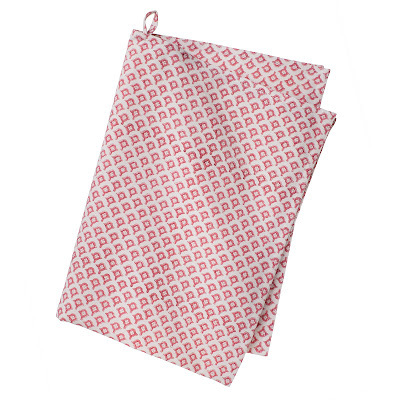 The sophisticated rose color will compliment with almost any decor. 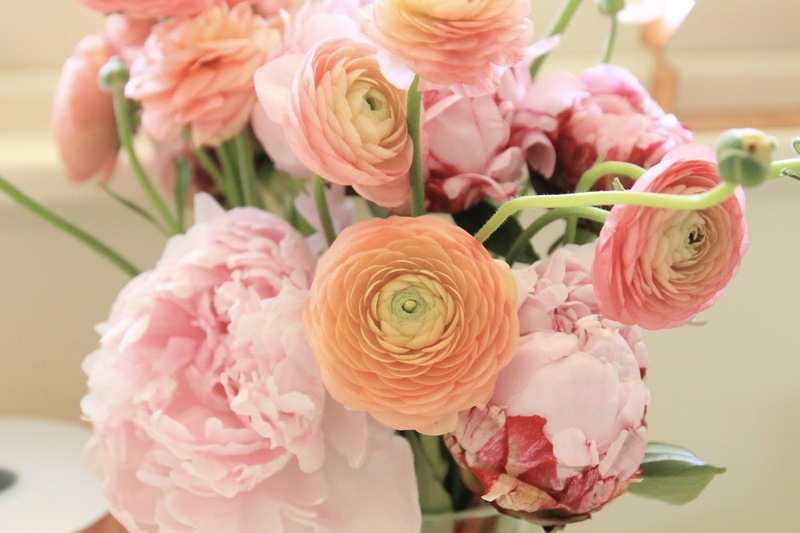 I can't wait to set a table (hopefully this weekend...) filled with my peony blooms. ***Because these are coming from Denmark, there was a slight delay in their arrival. They will be ready to ship early next week. 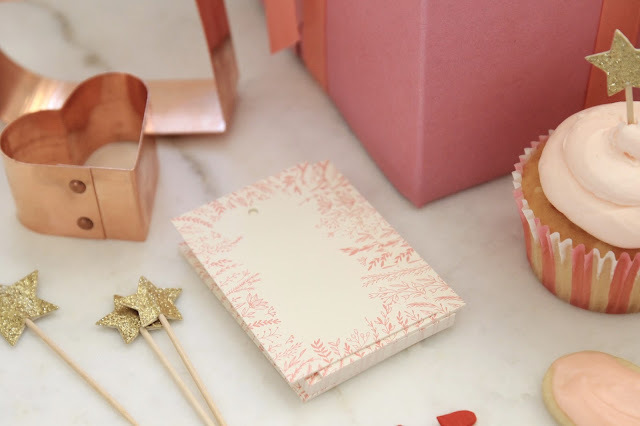 I will be working on a table setting to share when I get my hands on them! I love a velvet accent pillow. 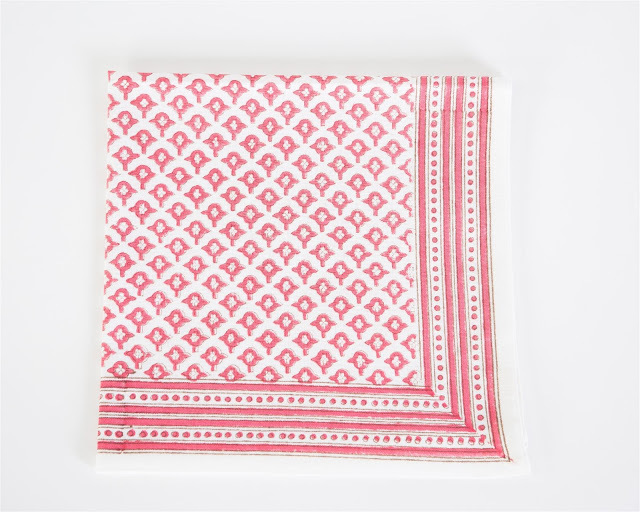 They are great almost anywhere - the middle of a sofa, the middle of a bed, or on a cozy chair. 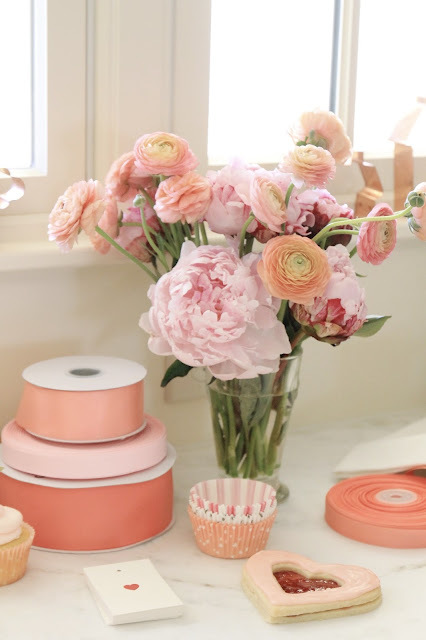 This neutral coral color is a great way to soften your home during these bleak winter months. 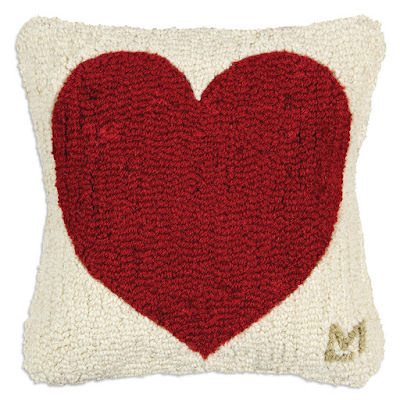 It would love fabulous with the Red Heart pillow, too. *Cover only, does not include insert. This pillow is made by a company in Denmark. They will be available to ship early next week. 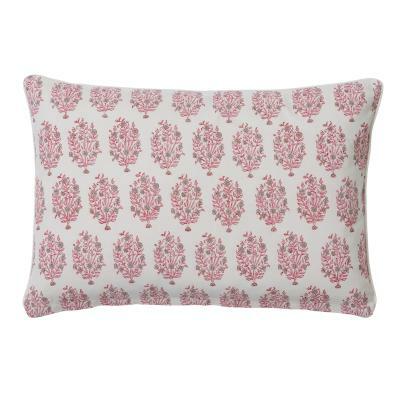 A delightful bouquet gives this pillow a sweet touch, but the design is classic and clean. 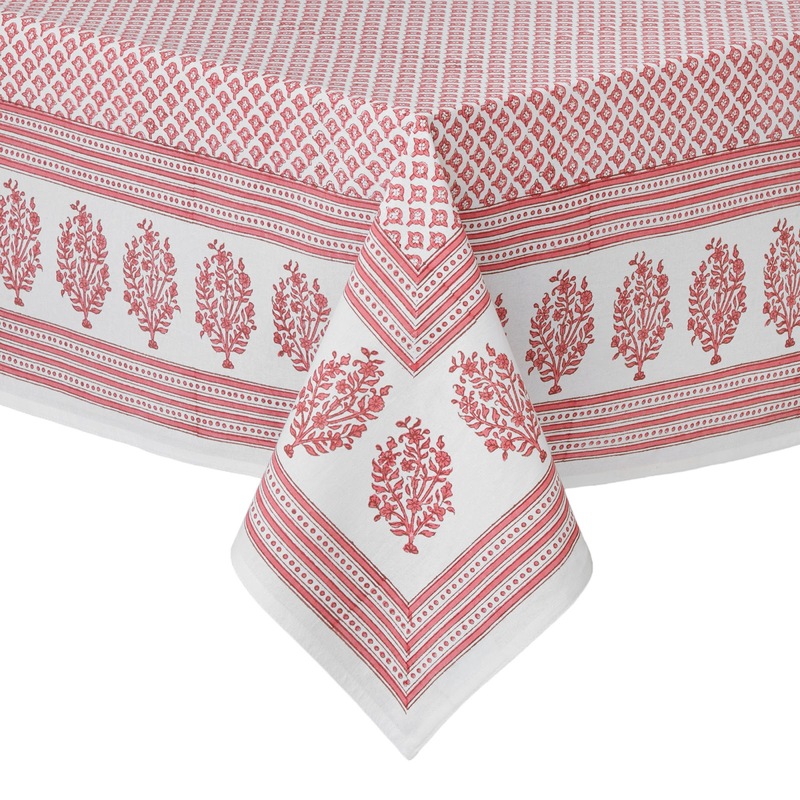 I can't wait to add this to either our bed or our sofa to soften it a bit for a brighter season. Size : 23" x 16"
Emma went wild for these when we saw them on the cover of a magazine in the grocery store aisle. It was a perfect coincidence that they featured the Giant Heart Sprinkles that I carried last year, and have restocked for this year. They were so simple to make - Emma decided the big ones were Momma and Daddies and the littles were babies. I have an entire post dedicated to these, but I wanted to make sure you knew the supplies you would need. For the past two years, these these over-sized heart sprinkles have been my most popular item... or was it the Milk Chocolate Glazed Cupcakes that motivated you all? 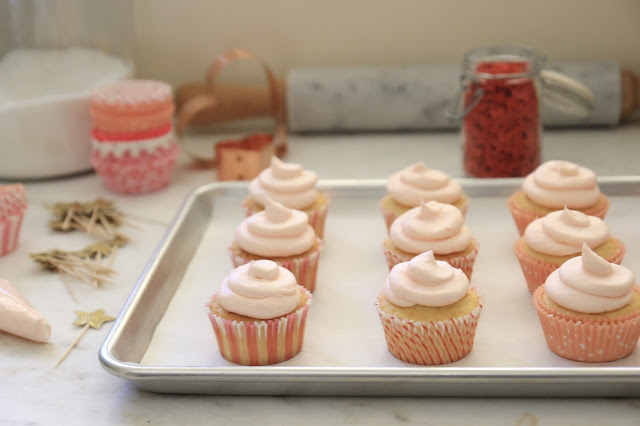 Won't they look great in a Pink Bakery Box, too?! They come packaged in a large glass jar. 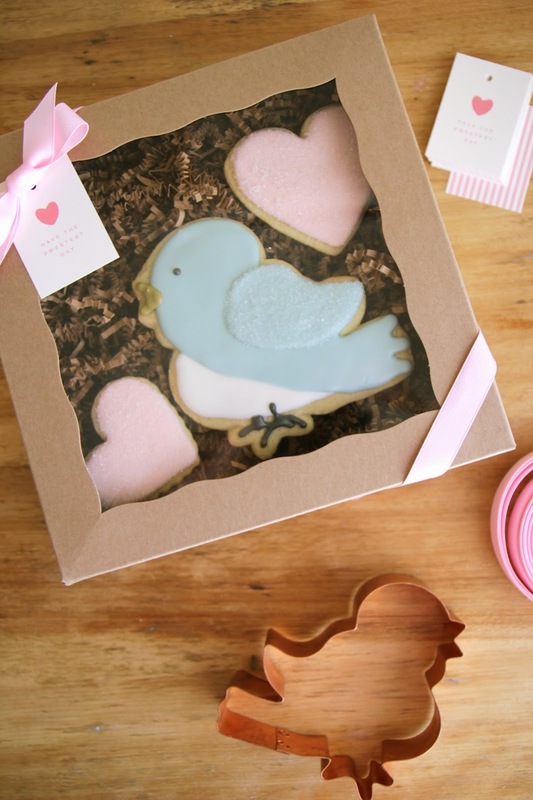 These birds might be my absolute favorite sugar cookie... and always a staple in my store. 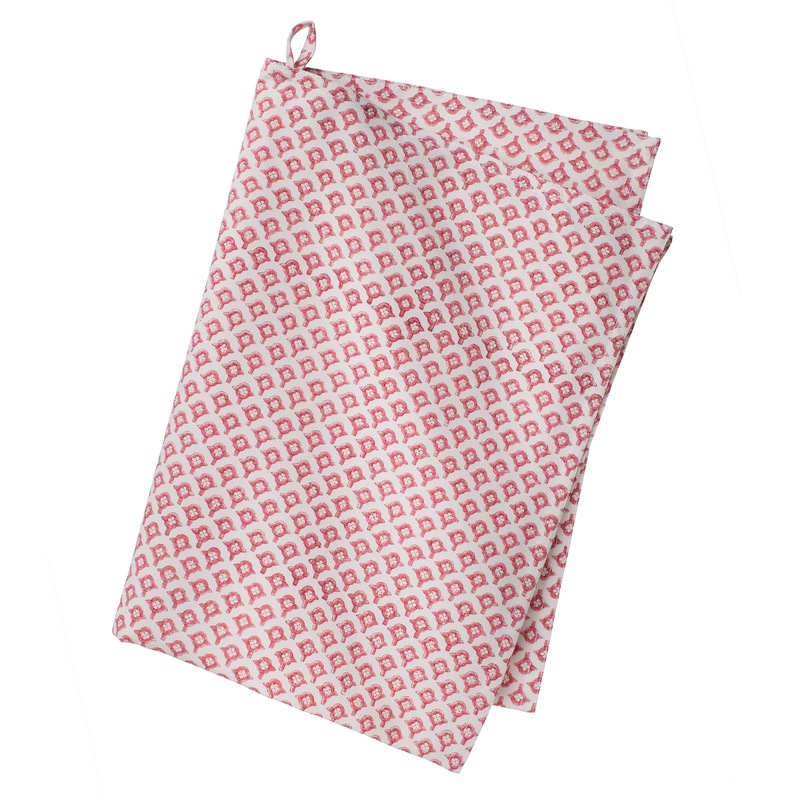 I've used them for every occasion - baby showers, weddings, Easter, birthdays and, of course, Valentine's Day. As always, these cookie cutters are extra special, as they are made from copper - the most traditional metal for cutters. They are a truly heirloom quality cutter that can be passed down for generations. 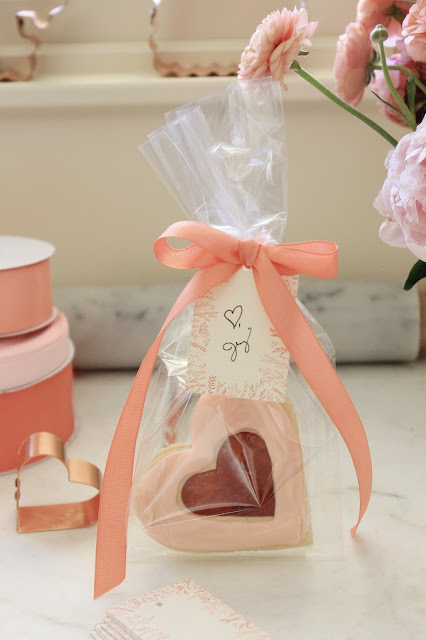 I've packaged them with a printed card of my cookie recipe and tied with an Everyday Occasions logo ribbon - a great gift. *Please note, these are handmade and have to be ordered far in advance, so only limited quantities are available. 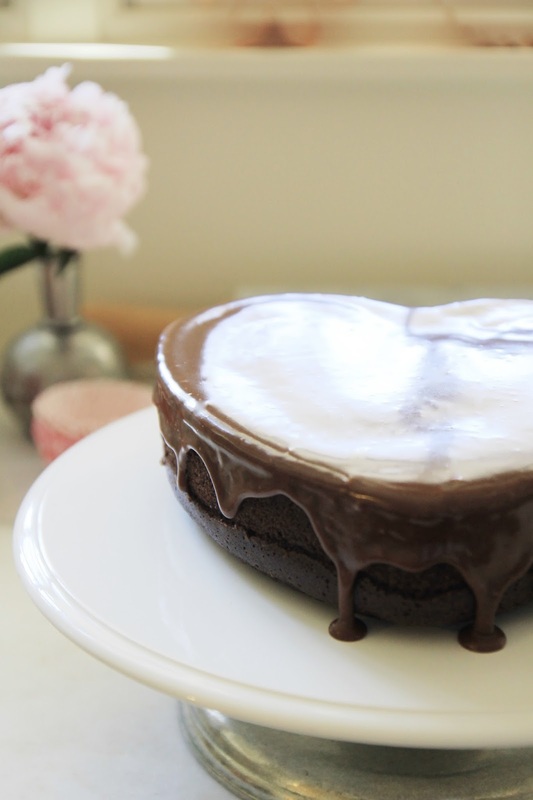 The Dripping Milk Chocolate Heart Cake I made with the new 8" Heart-Shaped Pan. 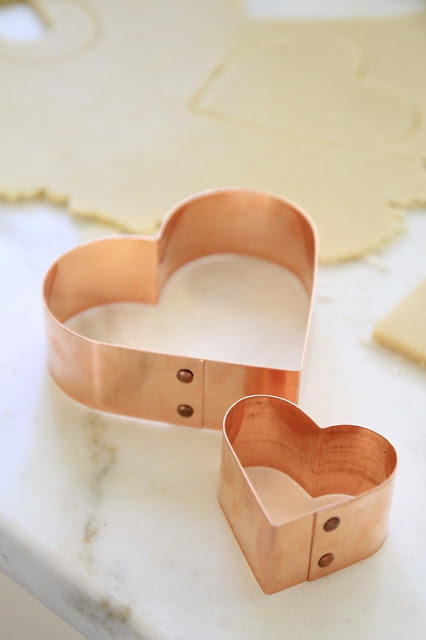 Of course, you can make any sort of heart cake with this pan... but I really recommend starting with this one! 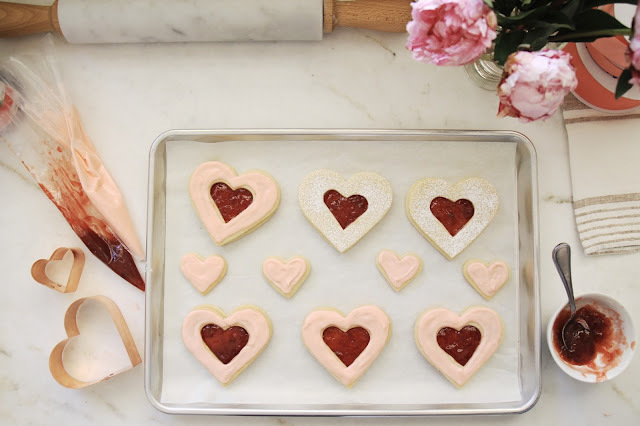 I hope you have "loved" pursuing and I hope these treats and projects have lifted your heart and inspired you for Valentine's Day! What a great collection! I love the giant heart sprinkles! I really love your cardstock notepads, but was wondering if you could tell me where you get them made? I would really like to get some with my own monogram on them. As always, such great items. I love the love bug cupcakes and tarts. So cute. Hi Jenny, I followed your blog through your renovations, but I don't remember, and can't find, what countertops you chose. Are they marble?